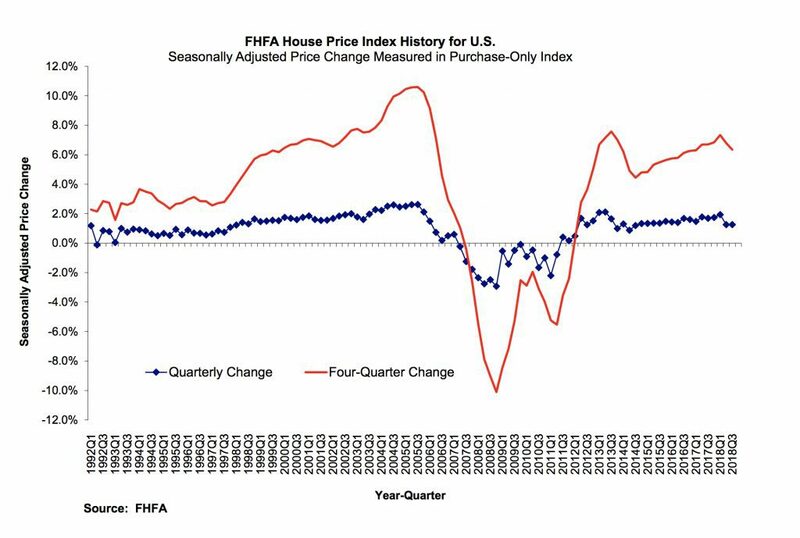 Monthly home prices rose 1.3 percent in the third quarter, according to the latest Home Price Index compiled by the Federal Housing Finance Agency. Year-over-year, prices increased 6.3 percent, according to data compiled from home sales price information from mortgages sold to or guaranteed by Fannie Mae and Freddie Mac. Prices rose in all 50 states, with Idaho, Nevada, Washington and Utah leading the way, all with year-over-year gains greater than 10 percent. Alaska saw the slowest home price growth, just up 0.2 percent, year-over-year. Every major metropolitan tracked saw prices increase with one exception, Honolulu, where they fell by 5.2 percent. In a separate study also published on Tuesday, Case-Shiller found that home price growth in September fell to 5.5 percent year-over-year, the second time it’s been below 6 percent in the past year.